I have been asked many times why I have decided to study abroad in Poland, and every time I say I chose it because I wanted to learn more about what happened in Central Europe during World War II and compare it to what I learned throughout my education in the United States. I knew that narratives always differ depending on who or what is telling the history, but never did I imagine for two narratives to alter so much. I myself have no filial or religious ties to the Holocaust, so I was never able to relate to this subject as much as people that did have these ties relate to it now. Growing up in the United States, we often learn history through textbooks. History is always seen as this abstract concept that has happened and may repeat itself. We are taught to memorize random historical facts in order to “ace a test.” We are also encouraged to treat textbooks as though they are entirely factual and unbiased. Throughout my education in the U.S., when studying the World War II, I learned that the Jewish people were the only victims of the Holocaust. 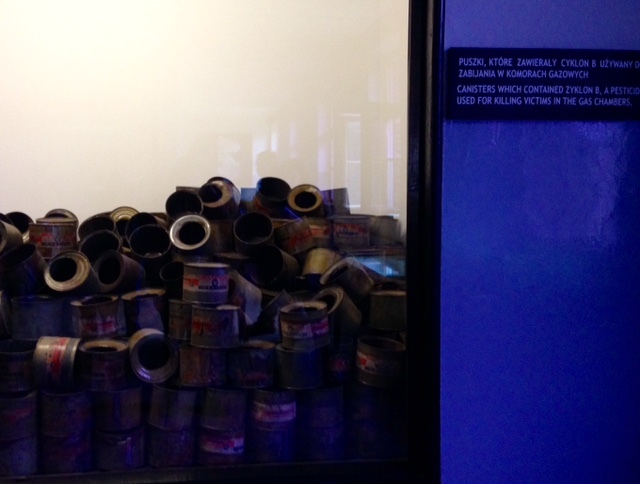 Before visiting Auschwitz and Birkenau I expected to learn more about the suffering of the Jews during this horrific period. But what I ended up discovering was that there were an unimaginable amount of other groups who were also targeted during by the Nazis. Even after studying it for more than a month, this period in history was always abstract to me. 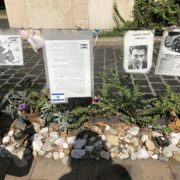 I was never able to build a personal connection with the Holocaust. I have seen countless movies and documentaries, talked to survivors, visited graveyards, and visited places of remembrance but this connection was always absent. 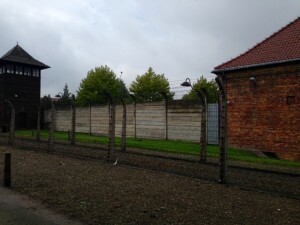 However, it was during my visit to Auschwitz-Birkenau, the largest of Nazi Germany’s concentration camps, that I found a personal connection, something that I did not expect to ever make in my life. At the beginning of our tour we were taken through an exhibit that presented the different groups of victims. 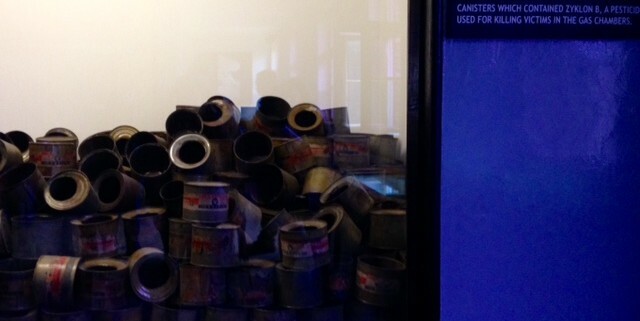 A part of the exhibit referenced non-Jews deported to this concentration camp. When our tour guide mentioned “Jehovah’s Witnesses” my heart immediately sank. I froze up and waited for him to repeat just to make sure I had heard him right. He said it again and seconds later I felt tears rolling down my face. That was it. 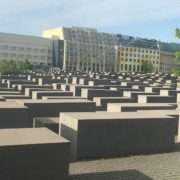 The moment when I realized how significant the Holocaust was to me. Many of my family members are Jehovah’s Witnesses. I then pictured them going through the same things that we learned other individuals had experienced. As the tour continued we were able to see displays of shoes, glasses, hairs, combs that all belonged to people who were held in this concentration camp and the only thing that kept going through my head was “Those glasses could be my grandma’s or those shoes have conceivably belonged to one of my family members.” There were pictures on display that showed people who were frightened, worried, and in distress. I couldn’t help but imagine my family members experiencing similar emotions as those in the photos. We then proceeded to view a document that listed the names of Jehovah’s Witnesses that were taken in one day, and then again I couldn’t help but picture the names of people I know on those documents. 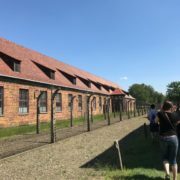 During our tour, we were also able to see their living conditions, the manner in which inmates were killed, and prisons in which these innocent people were held. Throughout the whole tour I kept thinking that those people could have been members of my own family or friends. The tour of Auschwitz and Birkenau made me realize how concrete and apparent the Holocaust was to me. 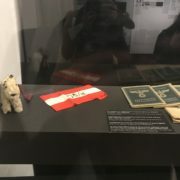 The Holocaust stopped being so abstract to me, because I had made a personal connection to. Even though I am not Jewish or from Europe, the Holocaust has impacted me. 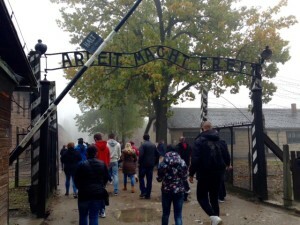 The Holocaust I learned about from visiting these concentration camps was different than the Holocaust I had studied in textbooks. I had the chance to put a face to the name. It was then when the Holocaust wasn’t an abstract concept to me that I had learned through textbooks or media. Because I sought out the truth, I was given a clearer truth of the people who suffered at this concentration camp. I would like to encourage others to seek out other truths because there is a whole world out there to be discovered.